If you haven't made your camping plans, you better get started! Campsites book up quickly, and the state recently announced it's closing 70 state parks. We'll start off with some the basics of camping with kids. And then you're ready for great Bay Area campgrounds for families. If you need to convince your kids about how fun camping is, check out these Chipper items - my kids are still singing one of the Chipper songs, several years after they listened to the CD and watched the video. More Chipper info here. Free National Park Entrance Days - June 21, September 24, November 11-13. Check out which parks are included. 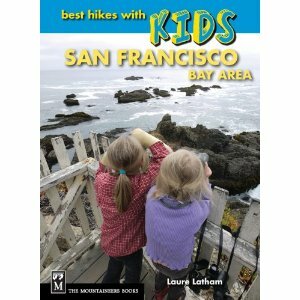 Check out Jeff Alt's post on Frisco Kids, tips for hiking with kids. Where do you like to camp in the Bay Area?